Nicholas J. Albanese, Jr. received his B.A. in History from Boston College in 2000. He received his Juris Doctorate from Fordham University School of Law in 2004, and was admitted to the New York State Bar in 2005. 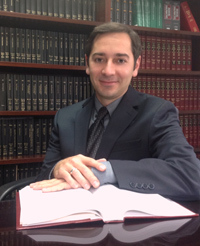 Mr. Albanese began his professional career practicing personal injury litigation in Manhattan, before coming to Wagner, Doman, Leto & DiLeo, P.C. Nicholas has been engaged in medical malpractice defense since 2007 and has a wide range of experience in defending both physicians as well as medical institutions.